Digital Dictation Transcription » Audio Transcription Services - High quality audio transcription services. Don’t pay for low quality digital dictation transcription. AudioTranscription.Org offers top-quality and affordable transcription services. You’ll be surprised at how little you’ll pay for the best digital dictation transcription anywhere in the industry. Our customers agree. AudioTranscription.Org, an audio transcription company operating out of gorgeous San Francisco, California, is one of the top-rated transcription services on the internet, yet we offer the most competitive price of any of the high quality transcription services in the industry. Why do our customers keep coming back to us for all their digital dictation transcription needs? 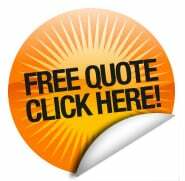 They’ve told us in no uncertain terms that they love that we offer the highest quality transcription at the lowest possible price, and that we guarantee their complete satisfaction. They know that if they’re ever unhappy with the final version of their transcript, we’ll redo it at absolutely no cost to them. Our customers love that they are able to choose the services that they need and only pay for the services that they requested. We always let our clients decide which services are right for their projects, and we never charge for services that they don’t need. Our customers never have to guess how much their transcription projects will cost, because they always know, up-front, the total cost. Once you try our digital dictation transcription service, we know you’ll agree that you can’t find better quality and faster transcription at a lower price than what we offer. We’re so sure of it that, if you have at least five hours of digital dictation transcription you’d like to have completed, we’ll give you a free transcript sample so you can try our service before you buy it. Not only do we offer the highest quality transcription at the lowest price of any of the high quality transcription services in the industry, we also make sure your transcript is ready when you need it, no matter how soon that is. Now that you’ve found the highest quality transcription at the absolute lowest price, there’s only one thing left to do. To get started, upload your files here, or you can click here to ask our team additional questions.